Is there an ideal breed weight range of males and females ? Or just based on the body types here ? 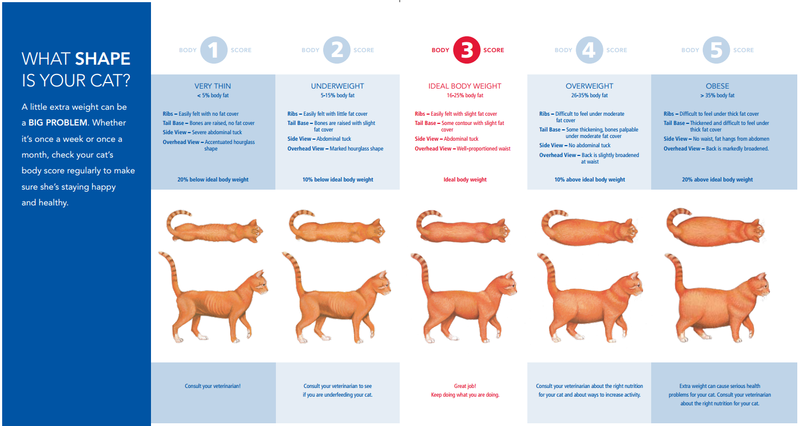 My cat body is like the third type, ideal, but his stomach is huge, some people thought he’s pregnant (before they knew he’s a boy). I’m kind of afraid if he’s got any disease, hopefully it’s just fat. But my cat is very active and loves to play and jump and run around my house. Here are some pictures of his stomach. I’ve been worried since my vet said (on the phone) that FeLV could be diagnosed if there’s liquid in a cat’s stomach, and it gave me nightmares ever since. Just be happy and enjoy. Your vet was probably referring to wet FIP. Not a vet, but all looks normal...many saggy bellies with the Sphynx breed lol. Yes, don't forget, everyone, that fur covers up a lot of that flabby flab. heee.